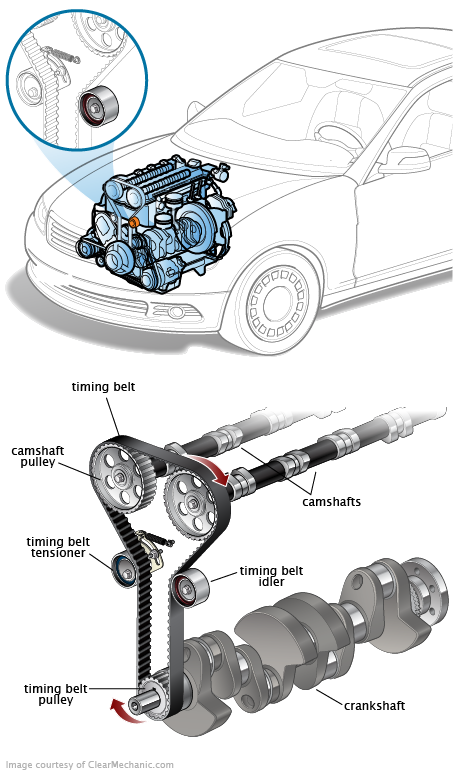 A timing belt idler is a small pulley that helps route and stabilize the timing belt in its correct position. Depending on the size and length of the belt and engine, there can be one or more idler pulleys. Belt may "jump time" (skipping a tooth or more, usually on the cam gear). This results in a loss of synchronization and engine performance. Just want to know if my sub engine is chain driven or has a timing rubber belt? Best time to change belts? ?